Long-time Sports Illustrated associate editor Don Yaegar has conducted more than 100 interviews with some of the most successful teams and organizations in the country. From those, he has identified 16 habits that drive these high-performing teams. Great Teams presents examples on how to apply these characteristics in any organization. 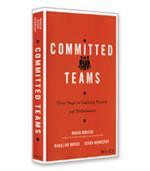 Discover how the same qualities that brought success to national champions and corporate leaders can propel your own team to new levels of achievement. The four essential pillars and 16 characteristics that set a Great Team apart. 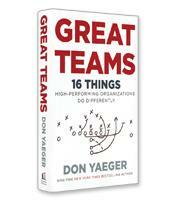 The synergistic leadership style of Great Teams. The importance of culture in Great Teams and organizations. How Great Teams embrace change and manage conflict. 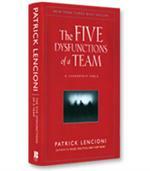 How Great Teams avoid the pitfalls of success.